When you have a running business and own organisation to take care of, you must be careful and mindful of its various aspects and day to day operations. In handling day to day operations, one of the most important aspect to monitor is the clocking in and out time of the employees. A lot of resource is put into making the workplace a good one and there are organisational goals to fulfil, which requires commitment and integrity from the employees with dedicated effort on a daily basis. However, there should also be some kind of regulation and moderation, and as a part of it along with making the whole process digitised and modernised, a time clock for employee time attendance should be installed. This is an elegant biometric scanner with WiFi capability. The FingerTec TA700W is designed to be the most user friendly, convenient and efficient Time Attendance device for small & medium sized businesses and organizations. No need for wires and punch cards, just scan your finger and you’re good to go. All attendance data will be stored on the cloud-based TimeTec TA instantly which can be retrieved later at your convenient time. FingerTec TA700W is the best simple and effective fingerprint solution in the market. These devices are fantastic when it comes to do the job. It packs hi-tech fingerprint time attendance and door access facilities with a striking design. It comes with an exceptional storage capacity and is equipped with the latest precision perfect fingerprint scanning algorithm. The FingerTec TA200plus gives you some amazing and convenient features like work codes and short message display for either personal or public recipients. The terminals also come with many useful options and handy methods for you to sync your terminal to the bundled software for further processing of attendance data to ease report generating and payroll processes. This all-new powerful facial recognition terminal provides seamless identity verification through its contactless biometrics technology, and it is able to recognise a face in mere seconds and gives accurate door access solution. That’s why detecting facial features during enrolment and verification is quicker and more accurate, and with the high-resolution camera and infrared feature, it works in low light too. Customized for function, the device comes prepared with door access usage. FingerTec Face ID 4d is an ideal solution that is suitable for small and medium enterprises, as well as those in need of a reliable, contactless solution. This is a new device for access control and time attendance that not only verifies identity using fingerprint matching, but also uses a new technology that can run a facial recognition match at the same time. This means, FingerTec Face ID 2 will run a scan of your face using its high resolution infrared camera, and match it to the scan which was previously memorized into the system. It’s not just in the movies anymore, it’s a reality and you can have it! FingerTec Face ID 2 brings contactless verification, tighter security and a user-friendly interface all into one compact device. 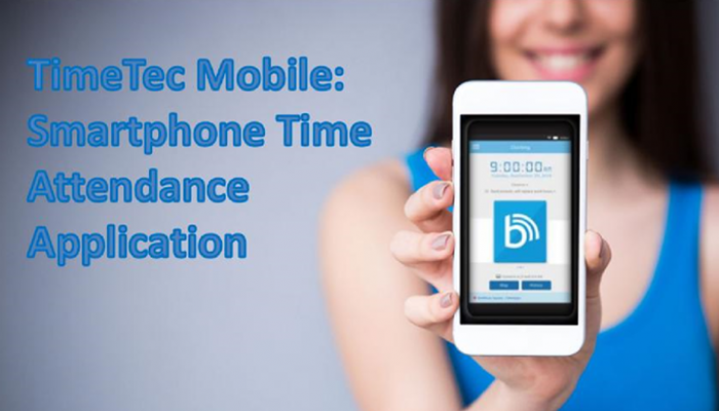 TimeTec Mobile is a real-time solution aimed at providing maximum convenience and flexibility especially to industries that have staff who are constantly on-the-move, enabling them to report their attendance wherever they are. Supervisors as well can experience the convenience of tracking and enforcing attendance policies easier than before, as the TimeTec Mobile connects to the TimeTec server, allowing employees and superiors to use their Android or iPhone to clock-in their attendance, view attendance sheets and print out attendance reports. No obligation 30 day trial for up to 100 employee license. Sign up today!